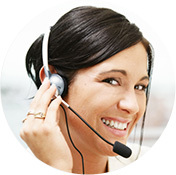 Welcome to the Help & Support Centre for Freeola and GetDotted.com, where you'll find our step-by-step support guides to help you with common procedures. Check out our guidance on a range of topics, from setting up Outlook to receive your emails, to getting your website online. And remember, we're here if you need help! Our UK-based Customer Support Centre is open seven days a week (except Bank Holidays, see opening hours), so if you're stuck, give us a call on 01376 55 60 60, try our Live Chat, or send us a message. Alternatively, you can browse the Freeola Guides, home of our customer support and advice articles for all services and products from Freeola.com and GetDotted.com. If you experience problems with slow connections or product subscriptions not working, you can check our Network Status page for any known service problems or scheduled maintenance on any of our services. If you have been using dial-up to access your free webspace, please contact our support team on 01376 55 60 60 as we have a special offer for you. For email we suggest One Address which provides free email and webmail with every domain name held in your MyFreeola account, including all those registered at GetDotted.com. If you suspect any Freeola or GetDotted hosted websites of hosting fraudulent, copyrighted or illegal material and/or of sending spam using Freeola email addresses, please send us a ticket. Alternatively, you can email us at [email protected]. Our friendly, UK-based Customer Support team is available between 8:30am and 7:00pm Monday to Friday, and from 9:00am to 2:00pm on Saturdays and Sundays. We are closed on Bank Holidays in England & Wales. Recorded information is provided 24 hours a day. Freeola Limited registered in England (number 5335999). VAT number 859 1100 32. Top service for free - excellent - thank you very much for your help.